If this will be the very first tattoo you get then please consider this the ankle is a painful spot to have a tattoo done. There is less fat around this area so the needles will hit the bone alot. The more bone there is the more a tattoo will hurt. If this will be the very first tattoo you get then please consider this the ankle is a painful spot to have a tattoo done. There is less fat around this area so the needles will hit the bone alot. The more bone there is the more a tattoo will hurt. 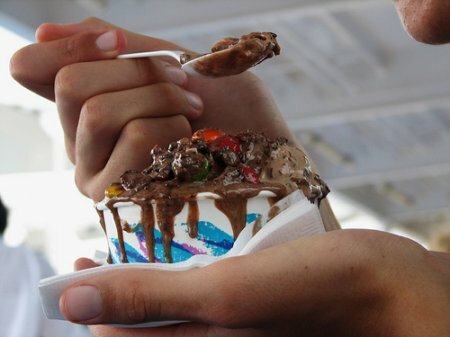 Especially if you are looking to get it going all the way around there is so much bone in that area. On the plus side I think that ankle bands are very pretty. You see ankle tattoos generally on women. Some men do have them but it is very common to see a woman with one. When getting it done is also uncomfortable because of the position you have to sit in while they do it. You have to prop your leg up and have it that way for a long time depending on how big or small the tattoo will be plus how much color and detail this will have in it. The after care is hard as well. You have to keep your leg elevated and try not to walk much so it does not crack or rub on your pants or socks. If you can wear shorts you should and avoid socks and sneakers as well if you can. The end result is great though because you can easily hide this tattoo or easily show it off. One design I think is really neat is the Rosary ankle tattoo design that goes all the way around and the cross and beads are on the top of the foot. Again this one will be really painful because not only are you going around the whole ankle but on the top of the foot as well which is another very tender spot to have tattooed and takes more time to heal then other areas of the body. Below I am going to show you some images of ankle bracelet tattoos and ideas you may like. 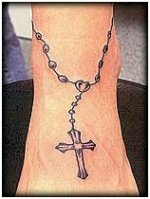 The Rosary ankle tattoo is the most popular ankle tattoo. Many women get the rosary on their ankle even if they are not religious. While the Rosary is a religious symbol many people get them as tattoos. I personally think the Rosary is a beautiful tattoo. You can get it in black ink or colored whichever you prefer. Star ankle bracelets are great because you can make them unique. Stars can be different sizes and colors. You can make the bracelet just out of stars or on a charm bracelet. There are hundreds of possibilities with star bracelet tattoos. This is a unique ankle bracelet tattoo. If you have a scar on your ankle it would make this tattoo even better cause it would look like it was sewn up. Skull ankle bracelets are good for a women or a man. The skull makes it look a ittle more manly than other ankle bracelet tattoo. 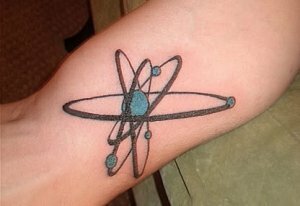 The barbwire that makes up the bracelet makes this tattoo kind of edgy. This isn't a typical ankle bracelet it is a little bigger than usual. This tattoo is small enough to go unnoticed under pants but is still a very detailed scene. This is great for anyone that wants a tattoo but is looking for something small. This tattoo looks like a real charm bracelet. The one is this picture has skulls and other creepy things. You can make your charm bracelet tattoo anything you want. 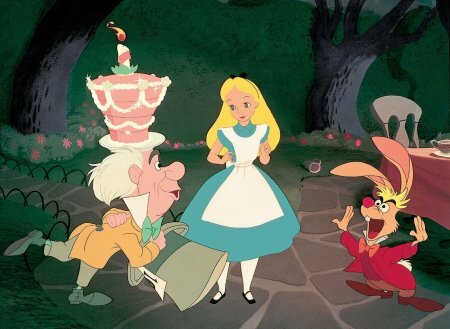 I few great ideas are characters of your faveorite show or movie, hearts, stars or even good luck charms. 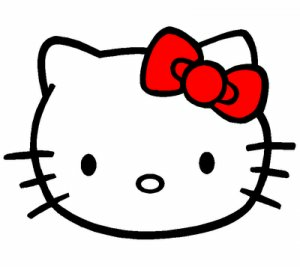 Hello Kitty is extremely popular all over the world. This is a Hello Kitty Ankle bracelet tattoo. You can make design it like a rosary or like the charm bracelet above. This is a Smurfs Ankle bracelet tattoo. You can get any of your favorite cartoon characters on your ankle. Great ideas for your tattoo are 80's cartoons,movie cartoons or even comic book characters. 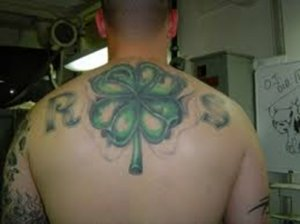 Share a link to a page on Ankle Bracelet Tattoos and we will consider it for placement on this page.